Johann Sebastian Bach (1685-1750) was music's most sublime creative genius. Bach was a German composer, organist, harpsichordist, violist, and violinist of the Baroque Era. Johann Sebastian Bach was born on March 21st 1685 in Eisenach, Germany. The young Bach was offered a choral scholarship to the prestigious St Michael's School in 1699. 1703 saw Bach become the organist at St Boniface's Church in Arnstadt - a role that saw him on a regular salary and expanding his skills at the keyboard. Bach composed the cantata Gott ist mein König in 1708 - he was paid handsomely, and it helped him cement his early career. The Brandenburg Concertos were composed in 1721 as a sort-of musical job application for the Margrave Ludwig of Brandenburg - it was unsuccessful. 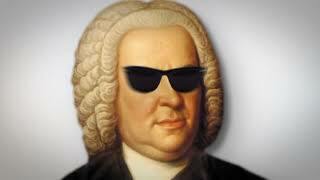 In his later years Bach faced harsh criticism. During the 1720s and 1730s when he was composing his most important works - the Passions and the Goldberg Variations among them - a new Italian style invaded Germany, making his work appear outdated. The Well Tempered Clavier, a quintessential student text, was finished in 1744 and comprised two volumes of piano music in every musical key. With the notable exception of opera, Bach composed towering masterpieces in every major Baroque genre: sonatas, concertos, suites and cantatas, as well as innumerable keyboard, organ and choral works. Bach died on July 28th 1750 in Leipzig. It is still disputed whether it was a botched eye operation or a stroke caused by pneumonia were to blame for his death. Bach's popularity was decaying until 1829, when Mendelssohn performed the St Matthew Passion and rescued Bach from oblivion. Bach once walked two hundred and thirteen miles to hear a performance by an organist whom he admired. Once he had heard the concert, he turned round and walked the same distance home again.